Fans have slammed Kendall Jenner after she reportedly refused to tip a bartender. 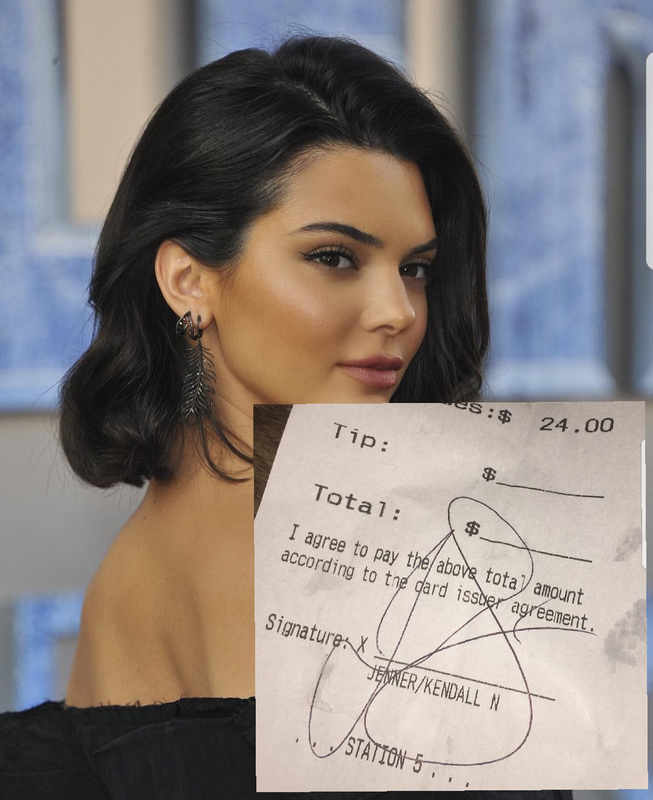 A Bar in Brooklyn Baby's All Right, posted a shot of a receipt on their Instagram page claiming it belonged to Kendall Jenner. The receipt which was signed by Kendall showed the total money paid was $24. 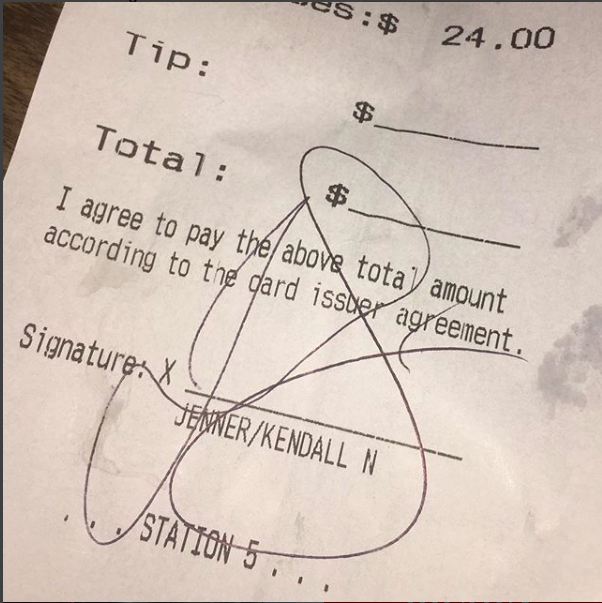 The space for tip was left blank, and they are claiming Kendall refused to tip the bartender. For that, they decided to shame her on Instagram. The posted the receipt then captioned it"
The post was met with mixed reactions, as people slammed them for calling out a customer while others supported them, claiming the super model is stingy for not leaving a tip.